Welcome to this new page of preachers who are looking for churches of Christ. churches of Christ who are non-institutional and non-instrumental. This listing will be updated within 48 hours from the time that the form below is submitted. The postings will remain on this page for 120 days. Preachers who are still looking for a church after the 120 days, please submit an e-mail letting me know that you want to continue your listing for another 120 days. You may continue to do this for as long as you need to. Each time a listing is renewed after the original 120 days, a date of renewal will be added to the listing to let churches know that the preacher is still looking (churches can have confidence that these listings are kept current). Please review your ad as soon as possible to ensure that all information is correct. If you want to add, delete, or change any information, please send me an e-mail message letting me know what action needs to be taken. Any ad posted on this page does not mean that I know or endorse the preacher. Churches contacting these preachers should do their own investigation. I reserve the right to accept, reject, or make modifications that I feel are appropriate for this venue. Preacher references will not be included on this page due to security and privacy concerns. 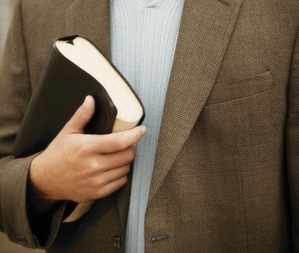 Churches should contact a preacher directly for that information. When a church to work with has been secured, please send me an e-mail message letting me know so that your listing can be promptly removed. Comments: I have never preached regularly for a congregation before. I am seeking full support, but do not wish to take more than what I need. I would prefer to stay in Indiana if possible. I have undergone a brief training period with the evangelist of the church I am a member of. I have also given short sermons for some of the brethren. I am currently a member of the Lafayette Church of Christ in Lafayette, Indiana. In addition to being against institutionalism and man-made instruments in our worship in song (the only instrument that should be used is the heart [Ephesians 5:19] ), I also oppose the doctrines of the house church/radical restoration movement, A.D. 70 Doctrine, the Social Gospel, false love and unity doctrine (which is actually the sin of toleration, real love and unity does not tolerate sin), and many other false doctrines contrary to the scriptures. My desire is to preach the truth in love (Ephesians 4:15; 1 Timothy 1:5).